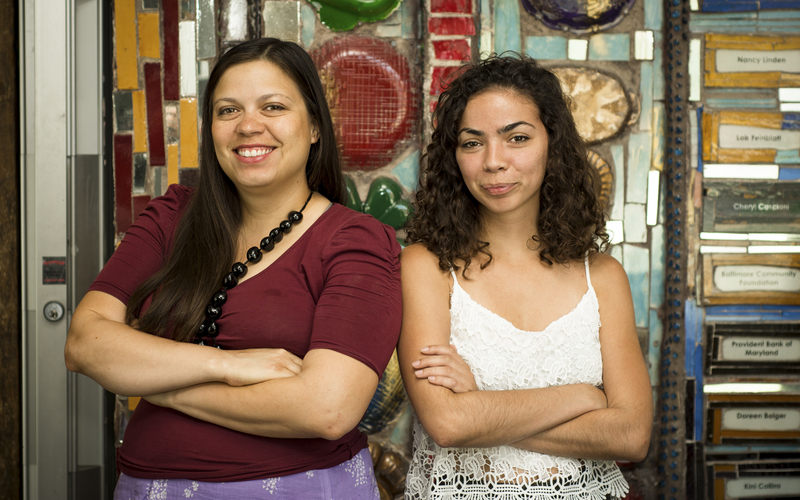 Aldana and Garcia are the creative forces behind “Después de la Frontera/After the Border,” a multimedia art presentation coming Patterson. The exhibit, curated by Garcia, a Deutsch Foundation community art fellow and overseen by Aldana, community arts manager for the Creative Alliance, will open on Aug. 22 and move to Towson University in October. The project began with a coalition of service providers who work with immigrants and wanted to tell the stories of youths who had come to Baltimore in 2014, in part to counteract what they considered unfair portrayals in the media. They proposed the idea to the Creative Alliance, where Garcia was already exploring similar issues in her art, and “Después de la Frontera” was born. There’s a real diverse story to be told with these kids. “There’s a real diverse story to be told with these kids,” says Garcia, who was born in Alabama to Puerto Rican parents. In addition to curating the work of the other artists in the exhibit, Garcia contributed a video installation piece that depicts youths describing life in their home countries, their journey to the United States, why they decided to come and their hopes for the future. The exhibit will also include information from various organizations that help immigrant children with resources ranging from health to education to legal issues. Local school groups will be brought in, with children invited to share their own immigration stories in an interactive gallery. A workshop will be offered for undocumented immigrants to see whether they qualify for a pathway to citizenship under President Barack Obama’s recent executive order. “Después de la Frontera” is just one example of how the Creative Alliance is responding to demographic changes by increasing its Latino-oriented programming, including bringing in folkloric artists, films and poetry.